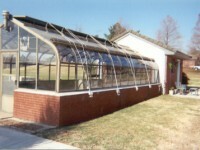 Commercial greenhouses are usually regarded as food or flower factories. They require a massive capital investment plus they need regular maintenance to be able to provide meet the functionary needs. These structures are more complex when compared to the ones built in our own homes. They make use of artificial controls to be able to control weather. Different mechanisms may also be included in a greenhouse to make sure that perishable products are protected all-year round. Here are tips on how to manage commercial greenhouses for those who own one. Energy consumption is one of the largest overhead costs involved in commercial greenhouse operations. In order to reduce this cost and all other costs related to maintaining a commercial greenhouse, it is important to monitor the greenhouse on a regular basis. 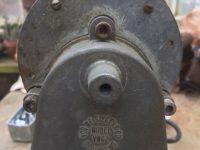 Check if plants receive proper watering and irrigation. Make sure that pests are not interfering with your crops’ growth. It will also be important to maintain cleanliness at all times so as to ensure that the environment is operating very well. You have to take note that most plants naturally speed up their growth when exposed to higher temperatures. Conversely, it stops growing at a certain stage when it is cold outside. You have to take note too that sometimes, the rate at which the plant grows at a given temperature will depend on what kind of crop you are growing. You then have to be familiar with the plants inside your greenhouse and make sure too that you know the optimum temperature they need in order to grow. 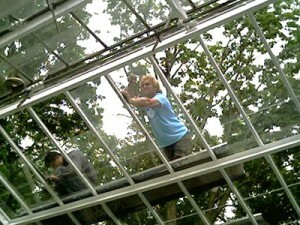 When you have done this, it will be easier to regulate the temperature inside the greenhouse. Air leakage can hamper the growth of a crop inside the greenhouse. It is important to check on this by paying attention to holes and gaps in the greenhouse. Make sure too that the greenhouse’s foundation perimeter is sealed so as not to lose too much air that the plants need in order to grow. Automated devices used for greenhouse openings must also be checked. 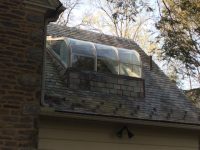 The doors and windows must also be inspected to make sure that they close and open properly. Heat loss, like air leakage, can also hamper the growth of plants inside the greenhouse. Too much heat can likewise affect the growth of your plants. You have to make sure then that the end and side walls of the commercial greenhouse are properly insulated to allow proper heat control inside it. Just adding in some spray or rigid foam especially on the lower greenhouse walls will save the structure from losing the heat that plants need. Plastic bubble wraps are also great insulators. 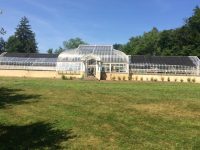 When you have checked the commercial greenhouse and you have spotted problems that may have been hampering the growth of plants inside it, then it will be wise to call the help of experts in greenhouse restoration. This will give you a better assurance that you can properly manage your commercial greenhouses for the purpose of saving on cost and to be able to produce crops that your customers need.